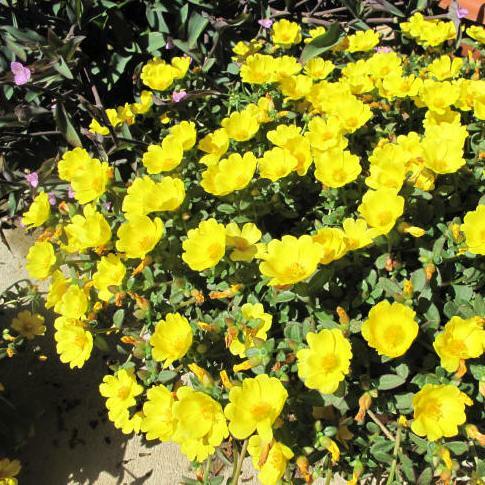 2 inch yellow flowers summer onwards, great in baskets and containers falling over the edges. Sunny position in free draining compost. Not hardy, bring inside for winter.